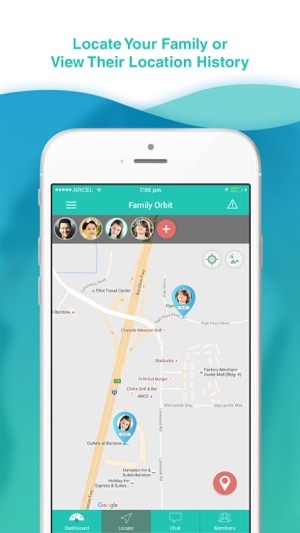 Family Orbit – Family Tracker & Parental Control is a phone tracker app that combines family locator and parental monitoring in one app. Our purpose is to keep your family, including your teen safe. 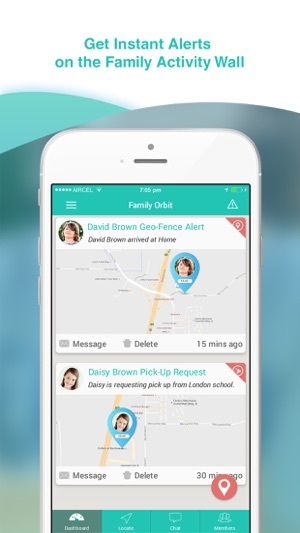 We use a phone tracker technology so you can locate family members at all time. We also create a powerful parental monitoring technology so you can easily use it as a kid or teen monitor. You will know their data usage, what they share, and every important aspect of phone usage to keep them safe and secure through our child tracker app. 1. Family Locator with Family GPS Tracker ability. Locate family members whenever they are. Locate your teens so you will know their whereabouts at all time and know that they are safe and secure. You can also set up to get noticed when they arrived at certain locations. Keeping teen safe is not easy, especially in the era of social media. They love taking selfies and sharing photos that might hurt them later on. With our teen monitor function, you can supervise and see what pictures they take. 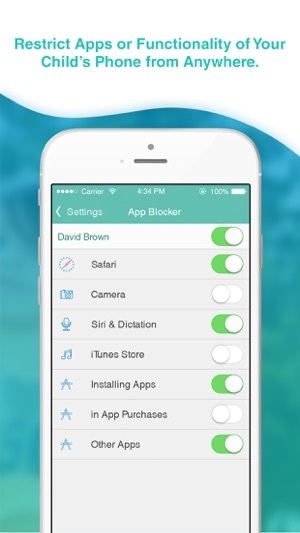 Keep your phone bill from rocketing with this important parental monitoring function. Our app allows you to monitor data usage of all your family phones from your own phone. We will show you the daily, weekly, and monthly data usage of all the phones linked through our app. See your kids’ contacts. This way you will know who they hang out with. It also keeps an eye on their Events and Reminders. Our phone tracker also monitors which WiFi network they connect to. We show you important information such as batter usage, disk space, and other system information. You can create multiple adult accounts so the mother and father, wife and husband, can track their kids at all time. If an adult family member wants to stop sharing the current location and other info, simply tap the Invisible button to turn it off. 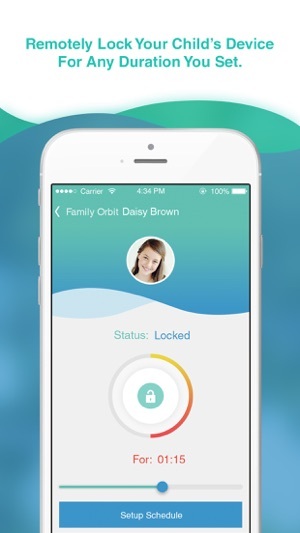 Family Orbit works across most smartphones, not just iPhone or iPad. - Check Ins to share location. - Send SOS in case of emergency. - Free chat & share photos with your family. - Length of subscription is one month. - Cost is $4.99 per month. - The user may manage subscription by going to the user’s Account Settings. The user may turn off auto-renewal after purchase. - All previous data is preserved when purchasing the Premium subscription. - After Premium is expired your limits will be set back to Free version. Contacts, events, image and location data collected from the Apple device are sent and stored on protected servers upon the installation approval of the users. Continued use of GPS running in the background can dramatically decrease battery life. Family Locator turns GPS on and off with an intelligent algorithm to save battery life and still give as accurate a location as possible. Absolutely horrible. Don’t rely on the compatibility check on the website because it tells you your iPhone is compatible but fails to mention features like text message monitoring are not available for iOS. The app is slow and horrible and freezes every time you try to complete set up. No wonder it’s less expensive than other monitoring apps, you get what you pay for. © 2018, AppObit LLC. All rights reserved.